Prof Robert Sutton holds the degrees of BEng (Tech) in Engineering Production, and MEng and PhD in Control Engineering from the University of Wales. Prior to becoming a Royal Navy Commissioned Officer in 1976, he served general engineering and student apprenticeships with Firth Cleveland Fastenings Limited, Pontypridd, UK, followed by a period as a research student in the Industrial Engineering Unit, UWIST, Cardiff. 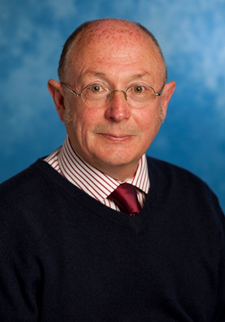 In 1992 he joined the Polytechnic South West (now the University of Plymouth) and is currently an Emeritus Professor of Control Systems Engineering working in the Autonomous Marine Systems Research Group at the University of Plymouth. He is an Honorary Fellow of the SUT, a Fellow of the IMechE and also a member of the IFAC Technical Committee on Marine Systems.